Hellers has been installing siding for over 25 years. As siding contractors we specialize in siding projects in Franconia PA. You can count on our siding contractors to be professional throughout the entire siding installation process. Hellers siding services are second to none. 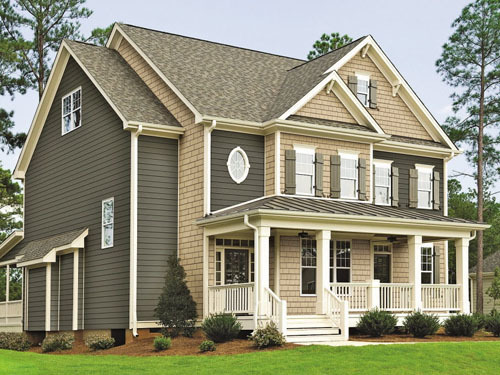 Our skilled craftsmen install siding products to the highest standards and take pride in the work performed. Hellers works with only high quality materials to make sure the project's outcome meets our expectations and yours. Contact Us today to get a Free Estimate. Hellers is a family owned home remodeling company in Lansdale PA that was established in 1989. We provide roofing installation, siding installation, stucco remediation, and other home remodling services. Learn more.